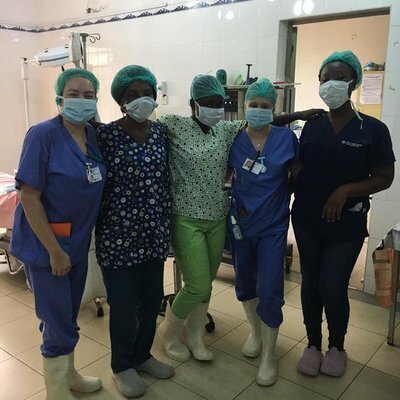 January of this year, myself and three other midwifery students from my cohort travelled to Ghana for our two-week elective placement. Why Ghana you may ask? 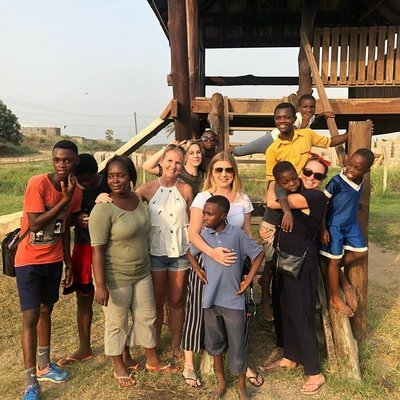 Well, we wanted to see midwifery from a completely different perspective and thought Ghana would be a great location to do so. Ghana appeared exciting and offered many opportunities for us as students. When we had decided on a location, Work the World helped us every step of the way and organised our placements. They ensured we were fully prepared, providing us with a timeline of what needed to be completed and when it needed to be completed by. Work the World provided us with all the information we needed about travelling, visas, and vaccinations. Planning and preparing for the overseas placement was daunting in itself as it was all new and different to anything I had done before. Arriving in Ghana I didn’t know what to expect, but it was eye-opening, to say the least. I had never visited a low-resource country before so the culture and way of life were remarkable. The heat… well, that was something else. I have never experienced weather quite like it! I felt all sorts of emotions entering the hospital, I felt scared, nervous and unsure, but then we were greeted by the friendly, welcoming and happy characters of the maternity unit. When we first visited our placement hospital I was so overwhelmed. I couldn’t believe such an old, run-down building could facilitate and provide hospital treatment. It was clear money was most definitely a major issue within healthcare services. 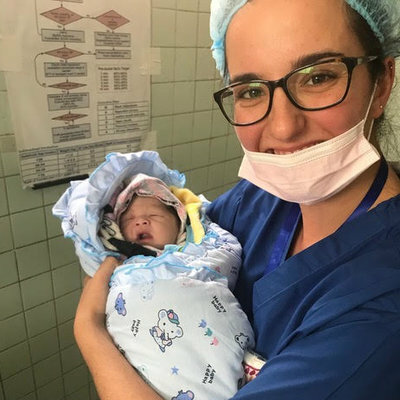 I felt all sorts of emotions entering the hospital, I felt scared, nervous and unsure, but then we were greeted by the friendly, welcoming and happy characters of the maternity unit. All the midwives, student midwives and the one and only consultant of the whole hospital were so kind and made us feel so comfortable. They were understanding of our role as students and allowed us to be in control of our own learning, which we appreciated. All of the staff spoke good English and were keen to learn about midwifery in the UK. 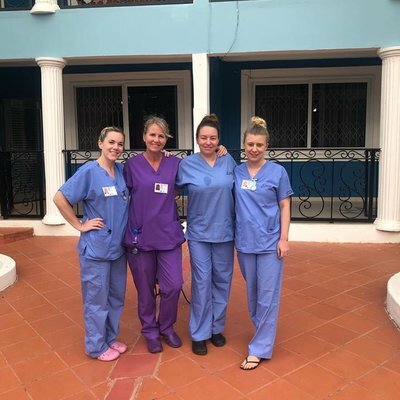 During my two weeks spent in Ghana, I developed both my knowledge and clinical skills. I was able to develop my ‘low risk’ knowledge and clinical skills and revert back to using more basic resources such as a pinard as opposed to a sonicade or CTG machine. The most memorable part of the trip was observing the lack of maternity support during labour. All labouring women laboured alone and silently with no birth partners. The midwives often observed the women from a distance and allowed them to labour peacefully. In the UK, we are always with women and try to provide 1:1 care but the resources simply are not available in Ghana to facilitate this. Labouring women and the fetus were not monitored often during labour, again in the UK we regularly monitor both the women and fetus. Women were not offered pain relief as it simply was not available due to cost. Women also had to bring their own sheets, antiseptic, food and drink with them to the hospital. 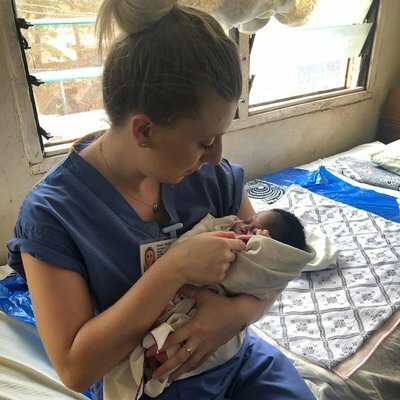 The biggest culture shock for us was the cost of the care required. We are used to the NHS and everything appearing to be free, whereas in Ghana, no payment… no care. There was also minimal emphasis on privacy and informed choice which is a big factor of providing care in the UK. In Ghana we witnessed a variety of care both high and low risk. We observed a number of natural births as well as a fair share of C-sections. We also provided both antenatal and postnatal care. We spent some hours of the day with the consultant who was incredibly keen to teach us and get us involved. The most memorable cases were the emergency cases. However, in Ghana, they are not treated like emergencies would be at home. There are minimal resources, minimal finance and stretched staff in Ghana and therefore no urgency. Work the World provide great accommodation and facilities. All the food was freshly made and delicious. The in-country staff were friendly and keen to help us at all hours of the day or night. The team provided us with plenty of support and would happily facilitate our needs and placement requirements. The team were also enthusiastic about offering their advice for our free time which made us feel at ease. 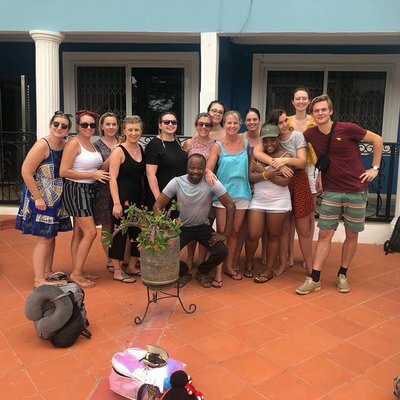 In the afternoons and evenings, we spent our free time doing various things such as visiting the market, an orphanage, beaches and the local hotel pool. 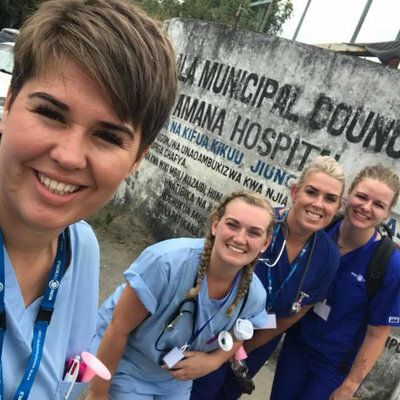 Some afternoons we simply relaxed around the World the World house and pool sharing our experiences of placement which was great as we all had a real mix of experiences and practice appeared to vary from hospital to hospital. We definitely made friends for life! We only had one weekend free to travel but ensured we made the most of it. We travelled to Cape Coast and stayed in a lovely hotel resort. 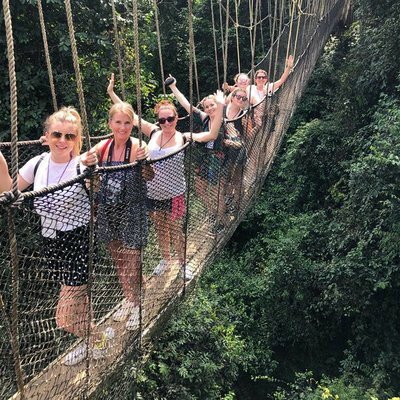 On Saturday we did a treetop canopy walk which was great fun and on Sunday we had some downtime to reflect on the week we’d had. For anyone considering an elective abroad, I would highly recommend Ghana without any hesitation. 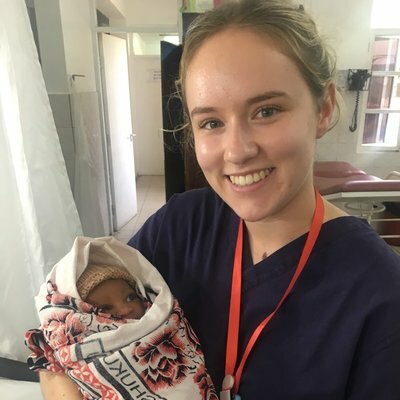 It is, however, essential to bear in mind that you must embrace the culture and the way the professionals practice midwifery. It is fundamental to keep a non-judgmental view of the practices and to always be enthusiastic. I am so incredibly proud of myself for grabbing this experience with both hands and going for it. I would have regretted it massively if I didn’t go. My advice to you would be… go for it!